Welcome back to The Viceroy my friends! In this third installment, I begin to personally lose some steam due to being so damned tired, so I sound a bit…drunkish. That’s not a reflection on the game at all, however, which I’m still quite enjoying despite some UI quirks. In this entry, one of the bonuses given to me is Love of the Viceroy, which means I’m doing a good jorb! YAY! 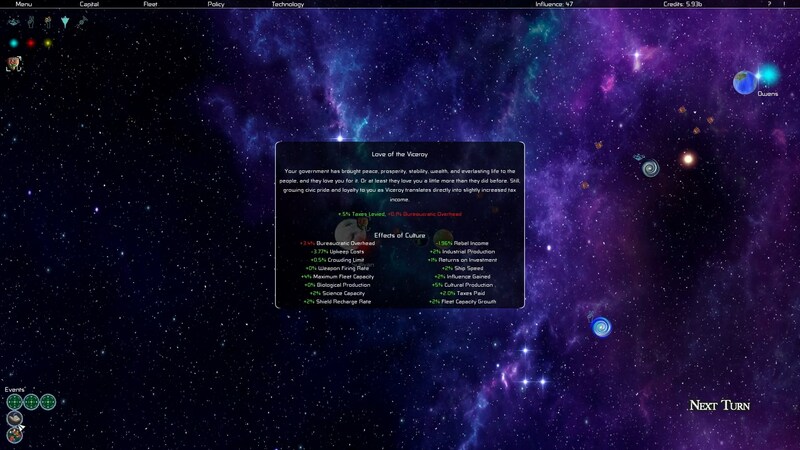 I also build a second fleet to help take care of rebels wherever they may be, and focus on education increases. So far, still having a fabulous time with this game. Thanks for watching!